I have made provisional arrangements for the next UK Book club meeting at the Alveston House Hotel on the 26th November (Saturday). This is on the A38 just north of Bristol with easy connections to the M5 and M4. The plan would be to meet at 12 noon for lunch and then adjourn to their conservatory for the book discussion. They also do great cream teas there! I appreciate the notice is quite short, but I need to get back to them to confirm by the 11th November, so could those wishing to attend let me know by the 11th on andywburgess@gmail.com. They will then let us have a lunch menu for us to pre-book so that we can make the best use of the time. We had a meeting here 2 years ago that I think everyone would agree was very successful. It is usually quite quiet and the conservatory can be closed off from the main restaurant if necessary. The TrI-State Chapter (PA, NJ, NY) met on Sept. 25th at Beall's home. For the second consecutive September, Beall arranged perfect weather! We started outside with wine and cheese on Beall's deck and then went inside for a lovely meal and stimulating conversation. Not only is this group knowledgeable, fun and interesting but folks know how to cook! Susan's eggplant parmesan was to die for, John D. made his special brussels sprouts and no one can roast and carve a chicken like Beall! He is the host with the most! We missed Mary H. but her yummy baked goods made us all very happy! Also absent but not forgotten were Bill L. and Curt G.
"So Disdained" was our book and Beall lead a lively discussion. I am hardly objective but what is so wonderful about this group is how everyone brings something unique to the table. A special acknowledgment to two members who are also in this group. Aside from his keen mind and extraordinary knowledge, John F. is our English expert. We learn so much about England from John and are always enriched by him. As a bonus, both Susan and he can tell you anything you might want to know about Gordon Lightfoot! David H. shares his aeronautical expertise. Whether it is about flying, piloting, weather conditions or when one needs to be in contact with a flight tower, David teaches us new things. Some of you were fortunate to hear his presentation last year at Oxford. Others heard him in Hanover, NH. Our next meeting is Sunday, January 8. The snow date, heaven forbid, is two weeks later. More info to follow! Last month, Laura Schneider gave a talk, "Nevil Shute: The Man and the Author in Hanover, NH. Laura spoke at a Continuing Care Retirement Community where a surprising number of Shute enthusiasts reside. Several belong to the Dartmouth Chapter of the Nevil Shute Society, some have participated in Laura's lifelong learning courses and two traveled to last year's NSNF Oxford Conference. The Q & A portion of the program was filled with questions and insightful comments from Shute veterans and those new to Shute. It was a wonderful evening. Speaking of The Dartmouth Chapter. We meet this Saturday, November 5 and our book is No Highway. Next month-The December 3 meeting is our annual A Town Like Alice holiday party. We watch the entire miniseries in one day, breaking up the viewing with snacks and a potluck lunch. All are welcome! Contact Laura for further information on either of these events. Shute readers may be interested in more information about the float plane used on the Duke and Duchess’s official tour of Western Canada. Their visit seems to have been a resounding success. Refer to “In the Wet”. There is a new movie out based on the book, “The Dressmaker”. It takes place in rural 1950’s Australia. The leading lady sets out to locally produce stylish dresses. Does this theme seem familiar? 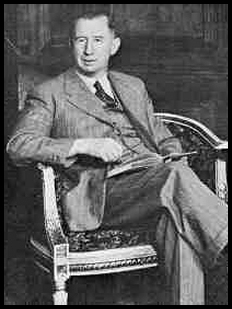 Not the Straight forward, hard work leads to success of Nevil Shute, at all. I was interested in Art Cornell’s comment about Theo Honey using a ouija board. Theo Honey was clearly painted throughout the story as a highly intelligent and passionate man lacking in social skills. It seems to me that he was probably somewhere in the autism spectrum (Aspergers). I have a toe in that spectrum myself, and I have experience of others further along the line. I have observed in such people (including myself) a mix of supreme confidence and deep self doubt…and I think again Theo Honey fits the bill. It seems to me entirely to be expected that such a person might use a ouija board. It is possible for one of the two “operators” to manipulate the operation of a planchette, especially if the other person is a child. I suspect that subconsciously Theo had a logical idea (bearing in mind his understanding of the crystallisation process) that the Reindeer might be some distance away from the predicted crash site, and sought the support of the supernatural to bolster his belief. And that that he (again subconsciously) manipulated the planchette to give support to the location that had its origin in his logical thought. It seems to me that NS was warning us as he did, for instance, with What Happened to the Corbetts and On the Beach. He may not have been in a position to give an explicit warning, and did what he could to prepare us to deal with this particular type of structural failure. I have to say that if he was ever going to be wrong in his predictions, I’m glad it was On the Beach! And of course the existence of his prediction may well have contributed to the fact that it didn’t (or at least hasn’t yet) come to reality. Now this really interests me. At least ten years ago I wrote to this newsletter (or to an online NSN chat group - I forget which), that I was certain I had seen three movies with plots based on NSN's novels which are not listed in the accepted corpus of movies based on his works. They were not under the original titles but clearly had the same plot line. Living as I did (and still do) in Canada In the mid-1970s I was a devotee of late night movies, especially British ones. My work schedule allowed me to set my own working hours because I was the boss – a dream job except for the abysmal pay! I worked 11am to 7pm and watched the late night movie before going to bed at 2 or 3am. I loved (and still do) all the British ones, and I now have a collection of several hundred British films from the 1930s to about 1970 on VHS and DVD. I always said that if I had a collection of 800 I would consider this a substantial core collection. Unfortunately I stalled at about 500 due to lack of availability and lack of money. I have amassed a data base of about 5000 British movies from that period, many of which (the notorious Quota Quickies) I wouldn't want anyway but many of which I can't find, and some of them may no longer exist. One night I saw a movie and I said in astonishment "But this is Ruined City!" It’s just about my favourite Shute novel and I re-read it most often so I ought to know! On other occasions I am sure I saw "Pastoral" and "Requiem for a Wren" (I kid you not - I would not have thought this book could be filmed but I am convinced I saw it). When I first suggested this, someone else wrote back to say that he had at least seen the "Ruined City" movie too, which encouraged me that I was not fantasizing. The city was relocated to the US but the plot was identical. Sometimes you read a book and it is so obviously a movie that you can convince yourself later that you have actually seen it on screen. Many of NSN's books give me that feeling. But in these specific cases I don't think I am deluded - I really think I saw them in the 1970s. And the fact the NSN really did write a film script for Pastoral adds fuel to my fire. I suggest that somebody may have acquired and used that c1945 script - legitimately or illegally - because I could swear I've seen Pastoral (under another name) on late night TV 40 years ago! I can't remember the real titles of any of these movies, or even if they were just MTV (Made For TV) so it's impossible to trace them without more information. But ten years since last raising this topic, perhaps it's time to put this suggestion out again to a new crop of Shutists to see if anyone else can add anything more to my recollections. "Trustee from the Toolroom" (my favourite Shute novel) is crying out for a movie treatment, but perhaps its time has passed, now that FX and CGI and blood and gore have become a substitute for acting and a cogent plot. I was thrilled to find that "Landfall" finally made it to DVD after being hung up in an archive for decades, and I have watched it at least three times since I finally managed to get a copy. Michael Denison is a bit too debonair and starlike for Jerry but the movie is good. I love "No Highway" and of course Jimmy Stewart is utterly miscast. But then he can't do anything wrong in my view, the casting was not his fault, this was a period when the bean counters thought that an American star was needed, and the result is quite fun. Marlene Dietrich was an odd choice too but the plot required a famous star and I'm glad it was she. The movie doesn't go as far as the planchette readings of course but otherwise it's quite true to the book. A spinoff to this post is that I did a new web search and I now find that there was a 1988 TV movie made of "The Far Country". I always assumed that the movie "The Far Country" was a James Stewart western and indeed it was. But the 1988 TV version is clearly the Shute novel and stars Michael York (a strange choice for Carl Zlinter I'd have thought but they still had to sell the movie). I have to look into this. TV movies of NSN have a good reputation. "A Town Like Alice" with Bryan Brown and Helen Morse, is a much better dramatization than the theatre movie from 1954 with Peter Finch and Virginia Mckenna, much as I like both those actors. For a start the movie version throws away the latter half of the book, along with the real point of it, which is the raising of an Australian outback town by its bootstraps, starting with the establishment of a cottage industry. Hmm - I haven't got a copy of this and I think I ought to remedy that. And of course I now have to read the book again, if any excuse was needed. So many NSN books are prime movie material but not perhaps for today's tastes, which exclude me to the point where I rarely go to the cinema anymore, just watch older ones on TV. The last one I remember going to the cinema for was "The King's Speech" and that was a few years ago. I reread Shute's novels every five years and I am now going away to read In The Wet and The Chequerboard first. I'm a new joiner here but in the spirit of good companionship I'll respond to your plea for copy. I can't honestly recall which I read first, possibly Pastoral, or maybe Landfall, when I was about 11-12. I was a voracious reader. We were living in Malta, there were still lots of people who had fought in the Second World War including my father, and there were quite a few retired members of the armed forces living there. Therefore much of it rang true. I then read the vast majority. A Town Like Alice remains one of my favourites, along with Trustee and, because it is so redolent of another part of my childhood, A Far Country. It even brings back a brief smell of the gum trees. I'm also fond of his autobiography and learned several lessons from it which I applied to my working life. My mother suggested I read Shute. She had enjoyed them but in addition when she had had a temporary job in her university vacations it was in her father's office. He was Shute's literary agent and so she met him and other authors. I think he was polite to this typist in a rather de haut en bas fashion as would have been quite usual in that day and age but stands out a little from the more egalitarian approach of respect that stands out in his novels. But at least he was polite; many might not have been. She is alas now dead so I can't ask more, but I'll enquire of the family if there are other anecdotes. My mum was the great reader in our home when I was growing up. Her favourite authors included Howard Spring and Nevil Shute. I didn't really like Howard Spring's books, but Shute's were much more to my liking, probably because of the flying, sailing and engineering content. I still have my mum's rather battered paperback copy of Trustee somewhere - price 2/6d or 25 cents! I enjoyed all the Shute books she had but remember being very upset reading On the Beach as a teenager. Over the years I made my own collection, all paperbacks, except I couldn't find Lonely Road in paperback and bought a hardback copy for £17 ! Fairly recently my sister and brother in law were clearing out the house of a deceased friend and gave me a number of Heinemann first editions, sadly without dust jackets. Also, at about that time, I was lucky enough to get a full set of Heron editions for a remarkably good price. These are for display only as their spines tend to crack if opened wide enough to read them. I was a subscriber to John Henry's changeover newsletter. This was in about 2000 when the first Australian conference was in the offing - very tempting, but I simply couldn't afford to go. So when the UK Conference came round in 2003 I signed up and, foolishly, offered to give a presentation. The friendships I made then still remain, and the rest, as they say, is history! With 38 yrs , involved with western airlines and Delta airlines, Sully is definitely my hero. WOW!!!!!!!!! Talk about chills. Controller never did hear ‘the Hudson’. A very interesting newsletter this month, I think. Thanks to those who responded to my question in the last newsletter. And do remember, there is plenty of room in the next one. From the Netherlands, where it is cold, wet and windy, see you next month.